Amicus's trademarks and service marks ("Amicus trademarks") are valuable assets that Amicus needs to protect. We ask that you help us by properly using and crediting Amicus trademarks in accordance with these guidelines. You may generally use Amicus trademarks to refer to the associated Amicus products or services. For instance, an authorized reseller can note in its advertisements that it is selling the Amicus application server. Similarly, an Amicus customer may issue a press release stating that it has implemented Amicus software. Amicus permits use of its marks in single volume book titles (not magazines or periodicals) where such use is descriptive or referential. To avoid misleading the public as to Amicus sponsorship, affiliation or endorsement, the Amicus mark must not appear more prominently than the rest of the title, and do not use Amicus logos on the cover. In addition, we request that you include a disclaimer of association with Amicus on the copyright page. Most open source licenses do not grant, and many exclude, a license of trademark rights. Do not assume you can use the name of a source code base in the name of your distribution developed from that code base. Without a license or permission, you may not incorporate Amicus trademarks in the name of your distribution or other products that incorporate open source elements. Truthful statements incorporating a trademark are generally allowed (for example, in the format "MyImplementation, derived from Trademarked ProductName"), but you should check the terms of the license for the original source code or any posted trademark guidelines for the project. Amicus generally permits use of its marks in groups name that include phrases such as "user group," "special interest group," "lobby," etc., that clarify the relationship between Amicus and the group and do not create confusion about the source of products. This applies only to user groups that are not formally doing business as commercial entities. If you are administering a user group that includes an Amicus trademark in its name, do not claim any trademark rights in the name or attempt to register the name or your logo with a trademark office, and do not register the name as a trade name or business name, or conduct any business under the name. You may not use Amicus trademarks in a manner which could cause confusion as to Amicus sponsorship, affiliation or endorsement. Take particular care not to use Amicus marks as set out below. Do not use Amicus trademarks or potentially confusing variations as all or part of your company, product or service names. If you wish to note the relationship of your products or services to Amicus products or services, please use an appropriate tag line as detailed above. For example, "XYZ for Amicus database" not "OraXYZ or XYZ Amicus"
For more information regarding use of Amicus logos, please review the Third Party Usage Guidelines for Amicus Logos. You must not imitate Amicus trade dress, type style or logos. For instance, do not copy Amicus packaging for use with your product or display your product name in the distinctive logotype associated with the Amicus logo. Do not use Amicus trademarks or potentially confusing variations in your Internet domain name. This helps prevent Internet users from being confused as to whether you or Amicus is the source of the Web site. Proper use of Amicus trademarks reinforces their role as brands for our products and services, and helps prevent them from becoming generic names that can be used by anyone. Examples of former trademarks that became generic terms are "aspirin," "cellophane," and "escalator." By adhering to the following rules, you help protect Amicus's investment in its trademarks. Use a generic term in association with each Amicus trademark the first time the mark appears in text, and as often as possible after that. You need not include generic names in headlines, package titles and documentation titles. For example, "Amicus iLearning software", "Amicus On Demand services", and "Amicus database." Amicus trademarks are adjectives and should not be used as nouns, or in the possessive or plural form. For example, "Amicus database's benefits.." not "Amicus's benefits..."
Do not vary Amicus trademarks by changing their spelling or abbreviating them. For example, "Amicus Collaboration Suite" not "CollabSuite." Proper trademark attribution through trademark symbols and credit lines helps makes the public aware of our trademarks, and helps prevent them from becoming generic terms. Credit lines also help clarify that they belong to Amicus. Accordingly, Amicus would appreciate you attributing ownership of Amicus trademarks to Amicus Corporation by using trademark symbols (™ or SM or ®) and credit lines as detailed below. Use the ® symbol with the most prominent appearance of the "Amicus" mark on products, packaging, manuals, advertisements, promotional materials and Web pages (for example, in the headline of an advertisement), and the first use of the mark in text or body copy. This includes situations where "Amicus" is a part of a product or service name (for example, Amicus® Collaboration Suite, Amicus® PartnerNetwork). You do not need to use trademark symbols with other Amicus trademarks. XYZ Corporation, a member of the Amicus® PartnerNetwork program, has developed the ABC software cartridge for use with the industry leading Amicus database. The ABC software cartridge is one of numerous products XYZ has developed that complement leading Amicus offerings. 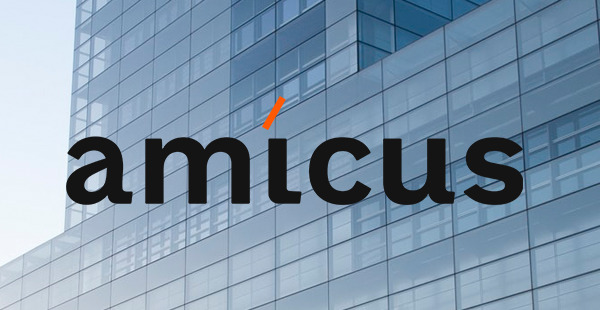 "Amicus" receives a trademark symbol in the headline because this is the most prominent appearance, and when it appears as part of the "Amicus PartnerNetwork" name because this is the first appearance in text. While there is no trademark symbol after "Amicus" when it appears in front of the term "products" and "offerings" since we already used a symbol the first time that the term "Amicus" appeared in body copy. It is always acceptable to continue using the ® after "Amicus" throughout the document. All products, packaging, manuals, advertisements, promotional materials and Web pages bearing Amicus trademarks should include the following trademark credit line. "Amicus and Java are registered trademarks of Amicus and/or its affiliates. Other names may be trademarks of their respective owners." Trade names are the actual business names of companies. Trademarks and trade names are not the same, even though many companies use their trade names as trademarks. If you are using "Amicus" as a substitute for Amicus Corporation, you are using it as a trade name. Because they are nouns, trade names can be used in the possessive and do not require a generic term or a trademark symbol. Thus, you should not use a ® after "Amicus" when it appears as part of the full corporate name or as a trade name. Corporate Name: This software was developed by Amicus Corporation. Trade Name: This software was developed by Amicus. Trade Name: Amicus's latest software developments are outstanding. Trademark: The Amicus® database leads the industry. If you have any questions regarding Amicus trademarks, please contact the Amicus Legal Department at +1.650.506.5200 or legal@amicusglobal.com.